Photo Credits: Inspirational photo’s from House Beautiful , Martha Stewart Weddings, Google Images: Paper Lanterns. 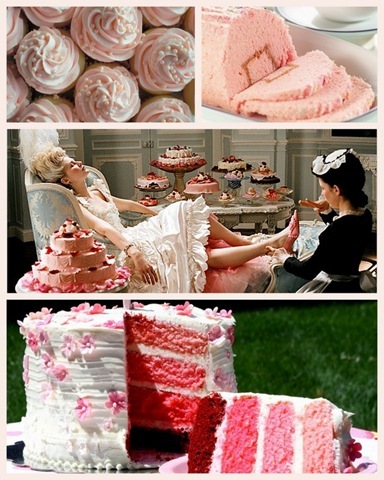 Photo Credits: Pink Champagne Cupcakes: Culinary Serendipity, Images Google search Pink Champagne, Marie Antoniette photo’s from official site, inspirational cake making ideas from Babushka Bakery. Photo Credits: Google search Images, Martha Stewart Weddings. Photo Credits: Shoes in top left corner: With the collaboration of Christian Louboutin and Jean-Francoise Lesage designing and creating these shoes . Should they come in a velvet, gold encrusted shoe box? 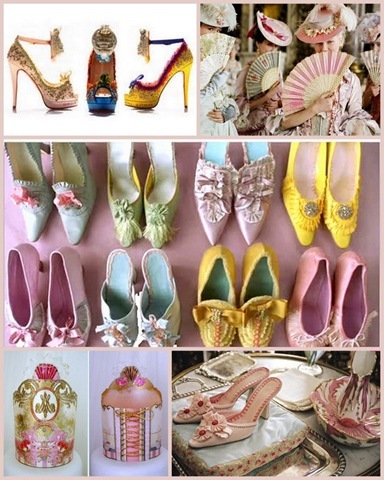 Google Search: Marie Antoinette.Designer shoes for the movie Marie Antoinette designed by Manolo Blahnik. Photo’s from original Marie Antoinette site. With the rejoicing songs of birds of a feather, it’s been a day of sun behind clouds and falling rain. I’ve been reading some of my design magazines on line. 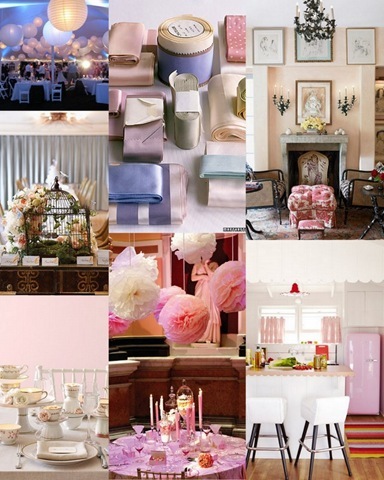 And nearly all of them have a design in PINK section, where every tone and shade of pink can be put into our homes. From kitchen, bathroom, bedroom, fridges,mirrors and wardrobes. One of my favourite magazines is House Beautiful, from designer tips to choosing colours, I know I can get lost for hours. Subtle tonal pinks, I love. Icy frosty pink I love on cakes, I’ve even worn pink shoes. I love to dream about owning one of those Marie Antoinette dresses and living in that era. And Chanel has always been known for pink. Think of your childhood, does a colour come to mind? Candy sticks, fairy floss, bubble gum, and please, let’s hope photo’s can’t be found of me dressed up at the Grease premier as one of the Pink Ladies. 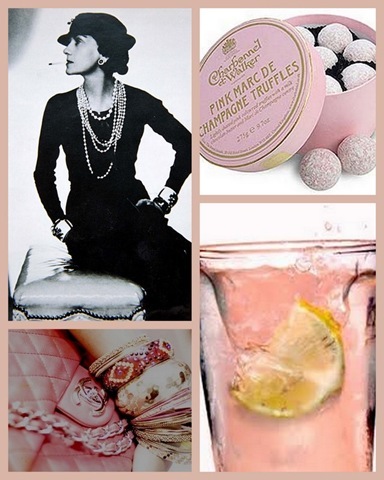 I just adore this post, Yvette, and am tempted to do a pink post too. Would you mind? Oh my, I can’t even begin to tell you which photo I love the best. This palette is just amazing. Another wonderful post. It was a fun exercise, designing a colour palette helps in creating something new. There are so many tones of pinks from brights to pastels…I love the cottage gardens full of pink hues. 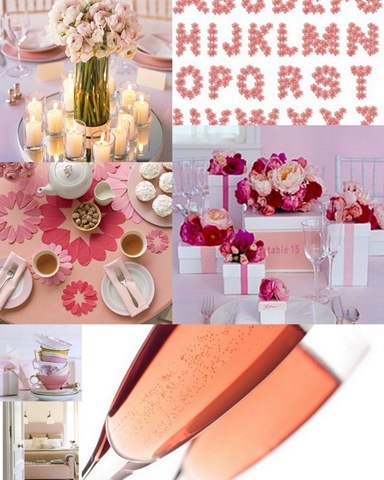 Yvette, what a pretty and calming post – the most beautiful hues of pink I have seen all together. Those are some very lovely pinks! I love them all, but I think the layer cake is my favorite photo, that is just too cool. Thanks for stopping by and enjoying the colours of my bromeliad! That give me pleasure! I’ve always been attracted to pink. During the long Canadian winters, my sisters send me a little pink thought on my birthday in February. It lifts my spirits and warms my heart. Loved this post. Welcome to your first Pink Saturday, Yvette. I am so glad you joined us, and I hope you will continue.